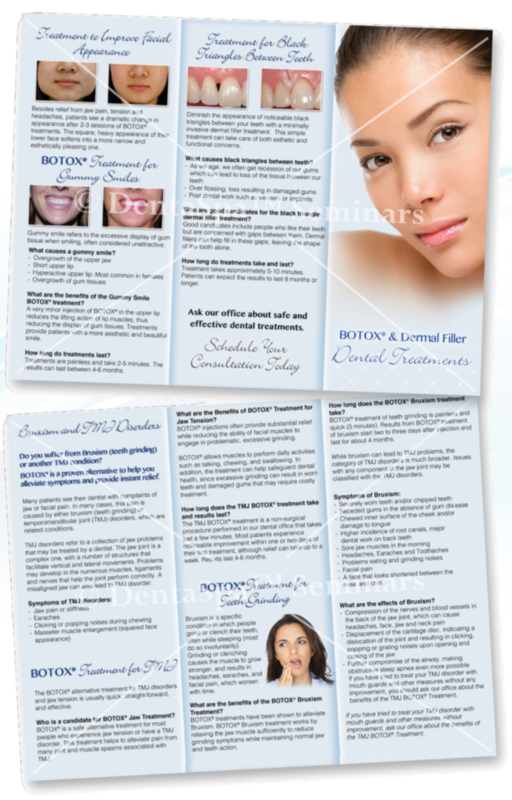 Educate your patients and promote your exciting new services with our beautifully designed marketing materials.These brochures, posters and information pads displayed below are designed exclusively for dental practitioners offering Botox and dermal fillers at their practice. 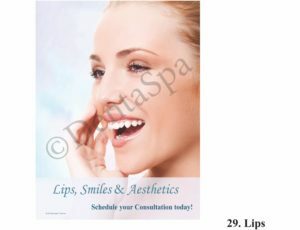 Call 1-877-367-4550, to place your order and ask about our class special. 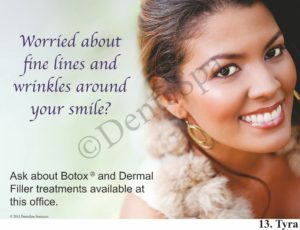 What are your patients looking at while they’re sitting in your waiting room? 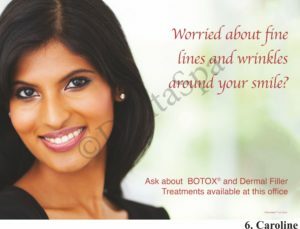 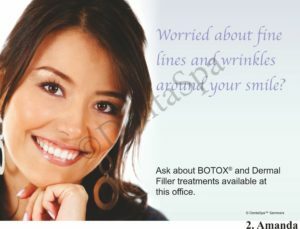 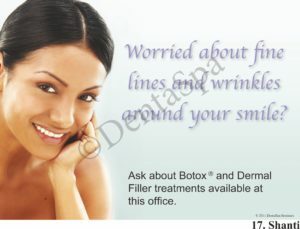 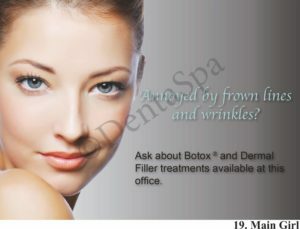 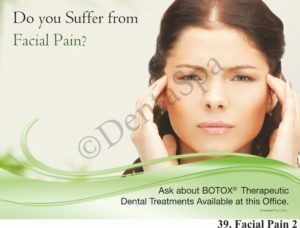 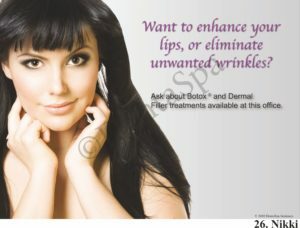 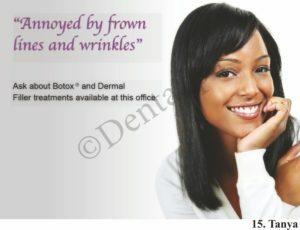 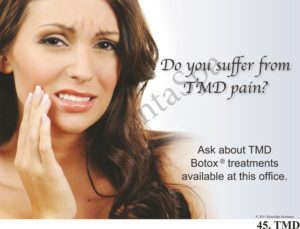 Most patients are unaware of every treatment that can be offered with BOTOX and Dermal Fillers. 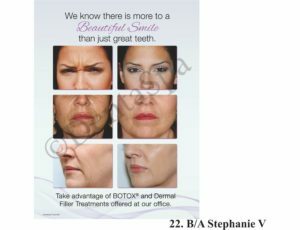 This patient case book is the perfect tool to market your lucrative facial aesthetic services and educate your patients. 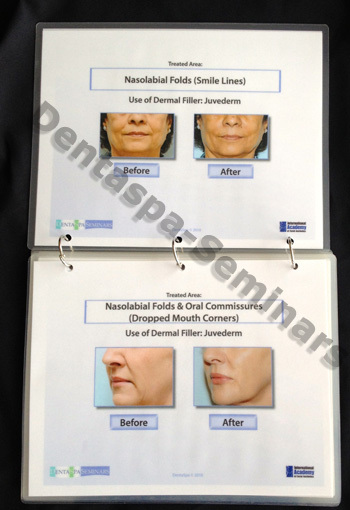 Connected by 3 rings, your own patients’ before/after pictures can easily be added to the book. 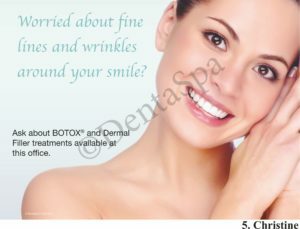 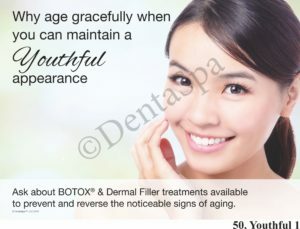 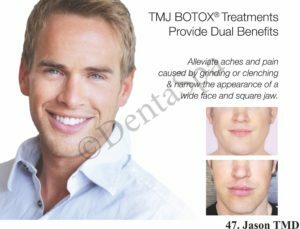 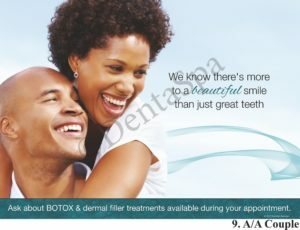 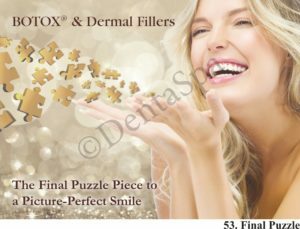 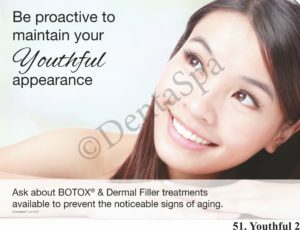 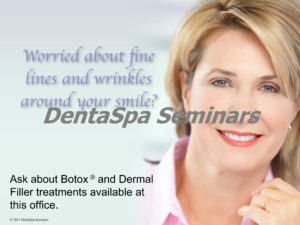 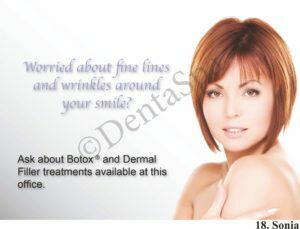 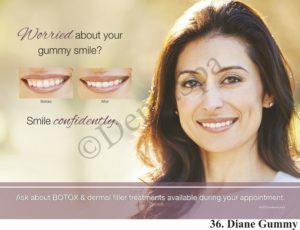 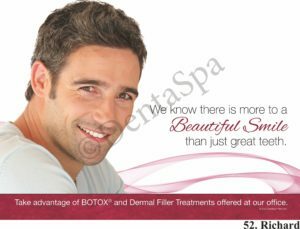 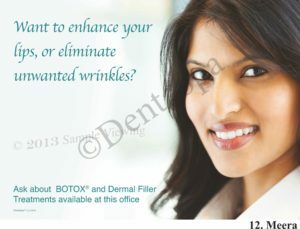 Showcase the therapeutic BOTOX® and Dermal Filler treatments you can use to alleviate patients’ dental ailments such as TMD, Bruxism, Gummy Smiles, Migraines, and Facial Pain. 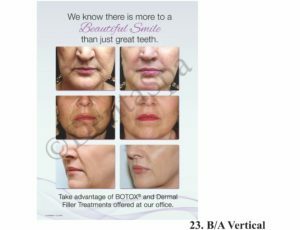 Internationally acclaimed and nationally certified injectable trainers for facial aesthetics clearly demonstrate the consultation process and treatment of each procedure. 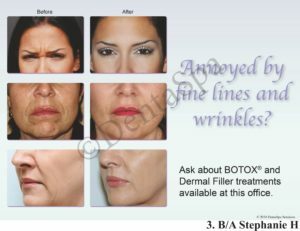 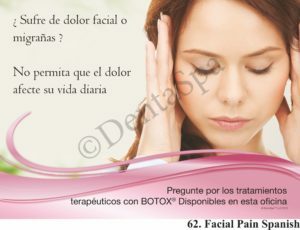 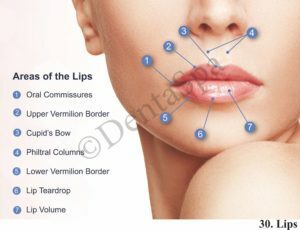 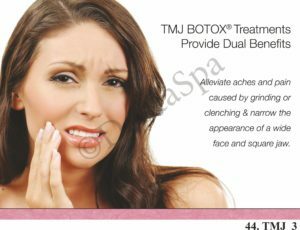 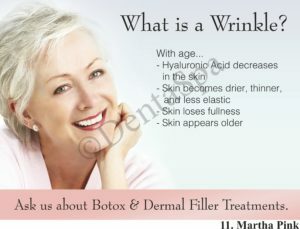 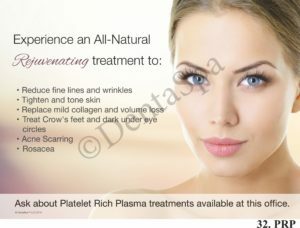 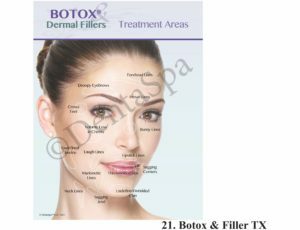 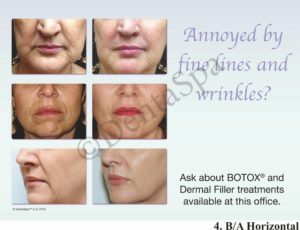 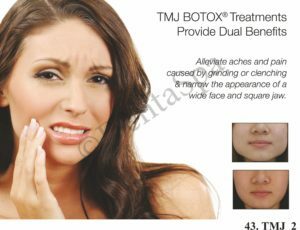 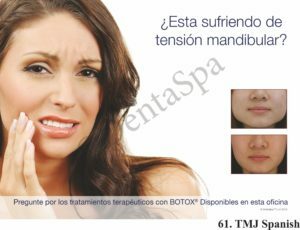 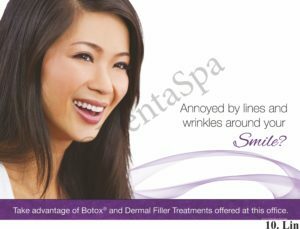 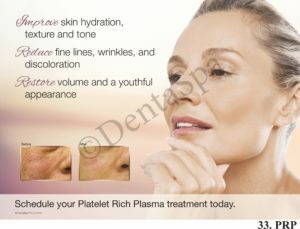 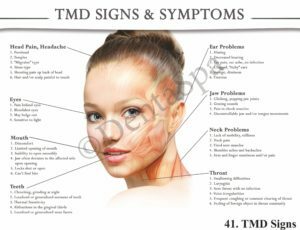 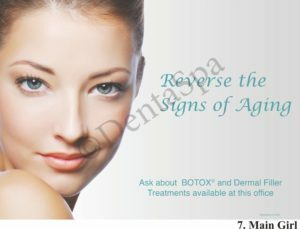 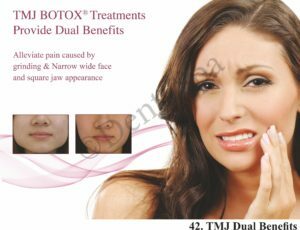 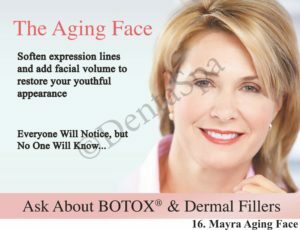 BOTOX® dilution and anesthetic dermal filler mixing is reviewed as well as proper injection guidelines, techniques, dermal depths, precautions and contraindications. 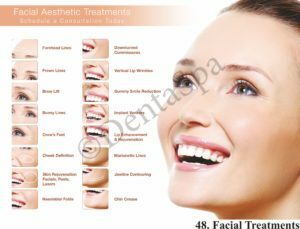 This in-depth video provides dental practioners with a complete guide to provide patients with comprehensive treatments for Aesthetic, Therapeutic and Restorative treatment plans. 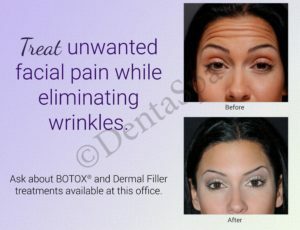 Includes everything you need to inject! 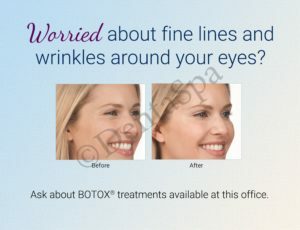 Why waste time figuring out what you need to order? 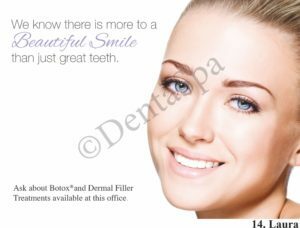 We have provided everything for you in one place, providing convenience for you and your staff. 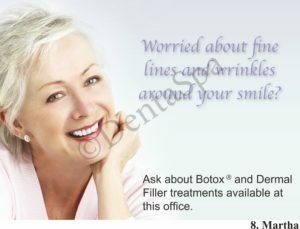 Leur lock mixing tools, various size needles, facial anesthetic cream, syringes to draw up saline and anesthetic, alcohol wipes, vasaline, gauze, saline, facial marking pens, and a Botox bottle opener are all provided in the all-inclusive kit. 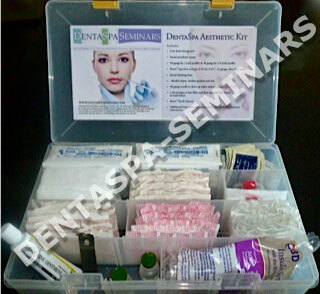 In this portable and compact case, the Aesthetic Injecting Kit allows you to move from different operatories and locations with ease and keeps your facial aesthetic injecting supplies organized together. 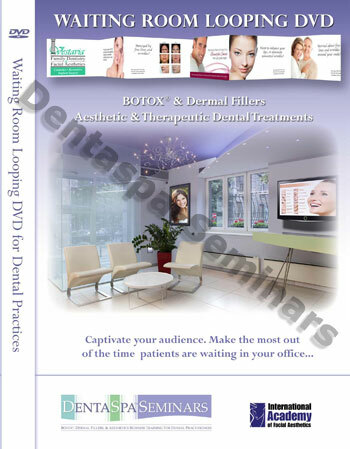 An educational waiting room looping DVD is the easiest way to introduce patients to facial aesthetic treatments you offer. 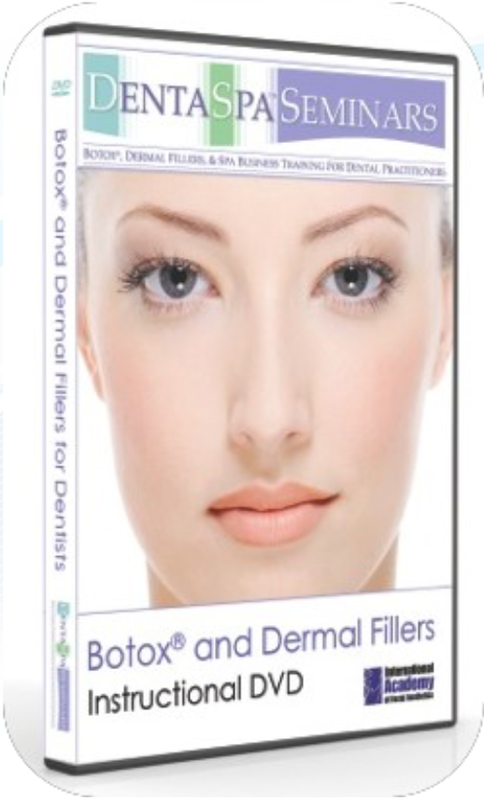 This DVD highlights the dental competitive advantage and the convenience of aesthetic treatments at your office. 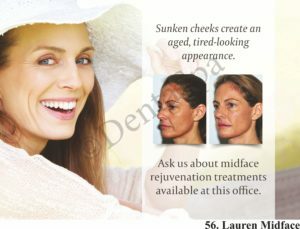 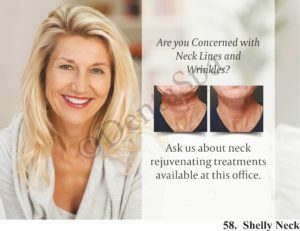 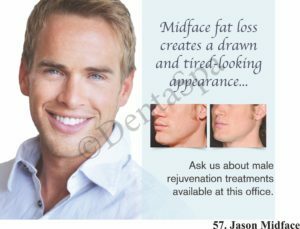 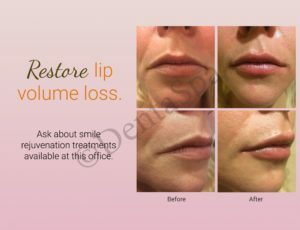 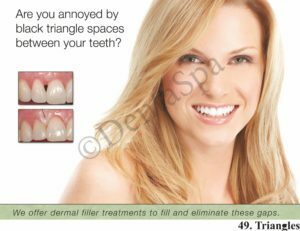 With a mix of procedure presentations, marketing slogans, before and after images, FAQs, and your qualifications, it is the most stimulating and cost-effective product you will ever place in your waiting room. 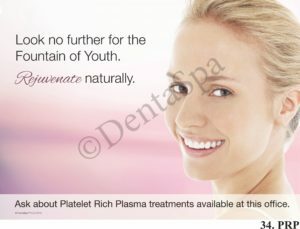 Also available on a flash drive instead of DVD. 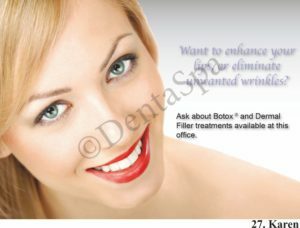 It takes a visitor just 50 seconds on your website to decide if they want to become a patient. 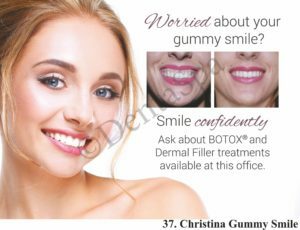 If you already have a great website, but want to add an aesthetics page that informs and introduces your patients to the Botox and Filler treatments you can offer, this is a great option for you. 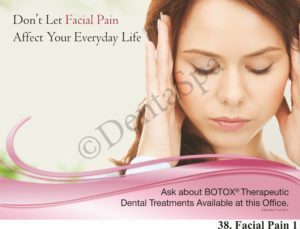 This webpage will not only legitimize you as a facial aesthetics provider for patients visiting your site, but your name will also pop up in Google/Yahoo searches for Botox/Filler/Spa Dentistry, setting you apart from the competition. 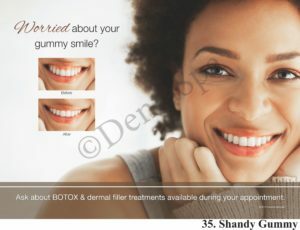 Our design team will design this page to match your current website layout/design/colors and brand. 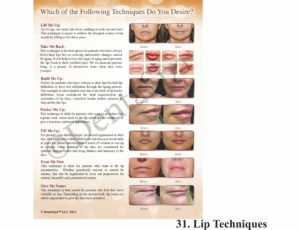 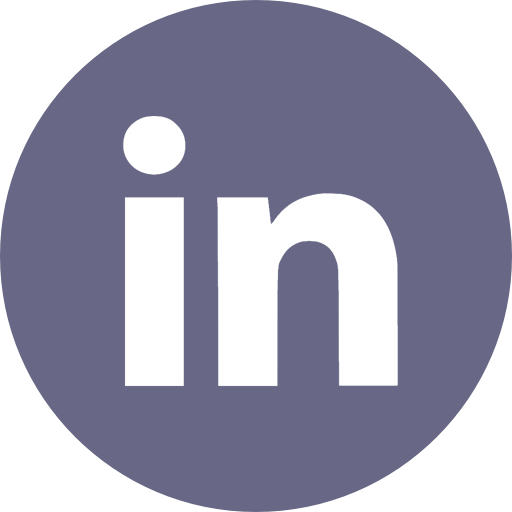 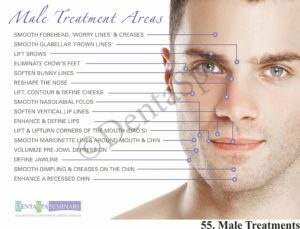 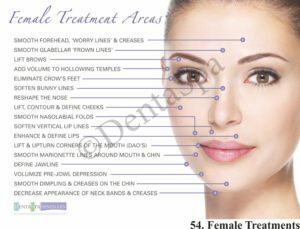 This page will include all the verbage and copyright usage of images, charts and posters that will inform your patients and showcase you as a qualified facial aesthetics provider. 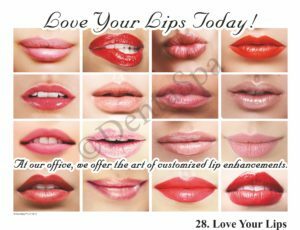 Call to create your customized web page.